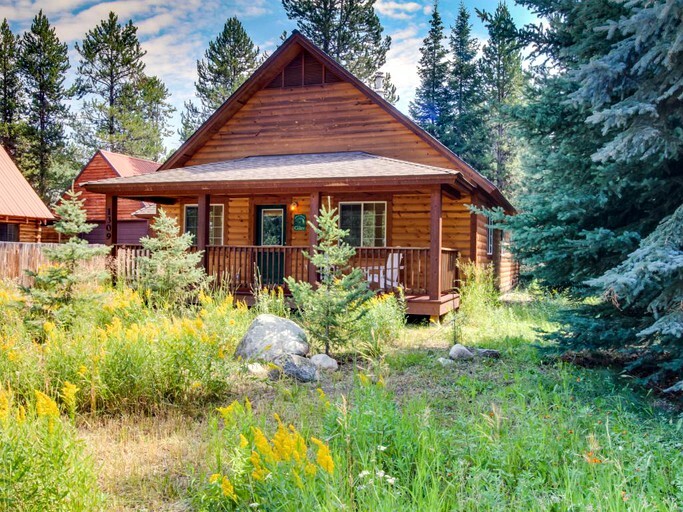 This rustic cabin near Lake Payette, Idaho, is the ultimate retreat, providing all the comforts of home. 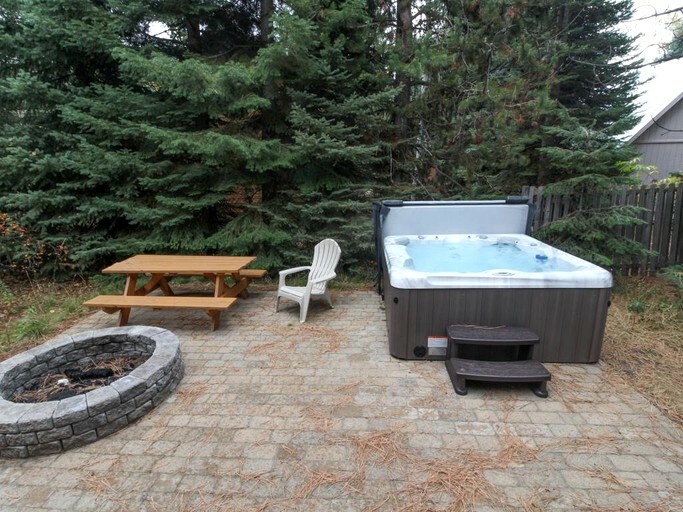 Some amazing features include an outdoor hot tub, a fire pit, a lovely patio with a gas grill, and a cozy interior. 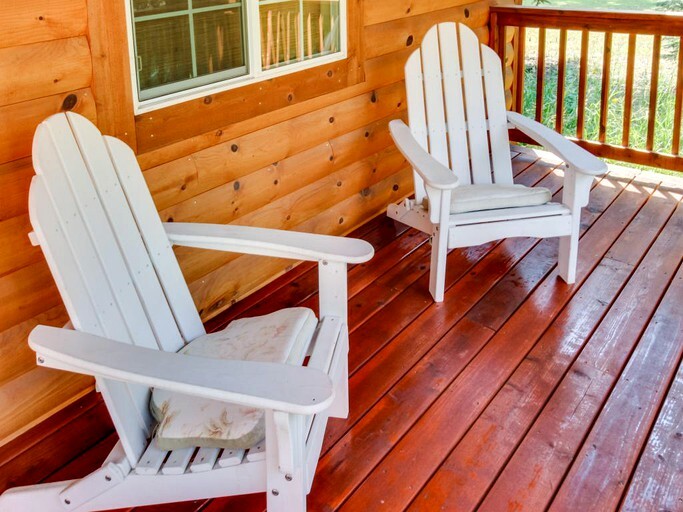 With three bedrooms and two bathrooms, this cabin can sleep up to eight people. 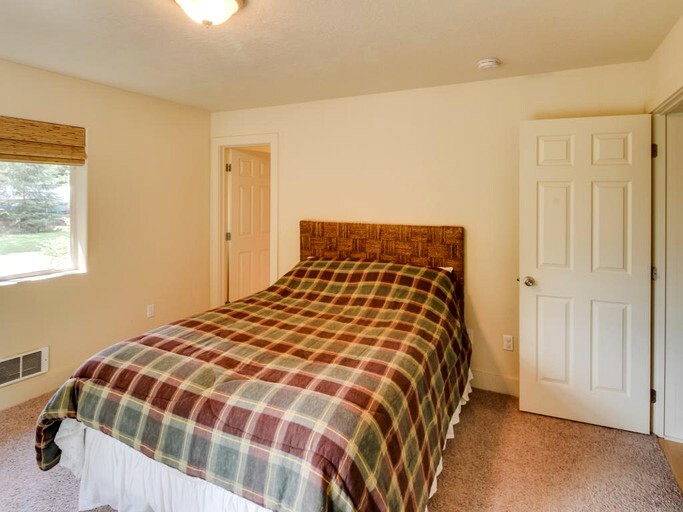 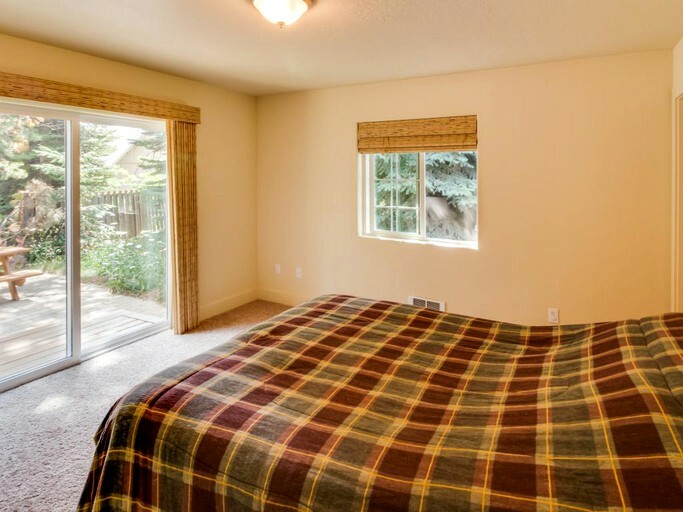 The master bedroom has a comfy queen-size bed, an ensuite bathroom, and plenty of natural light with sliding doors out to the patio. 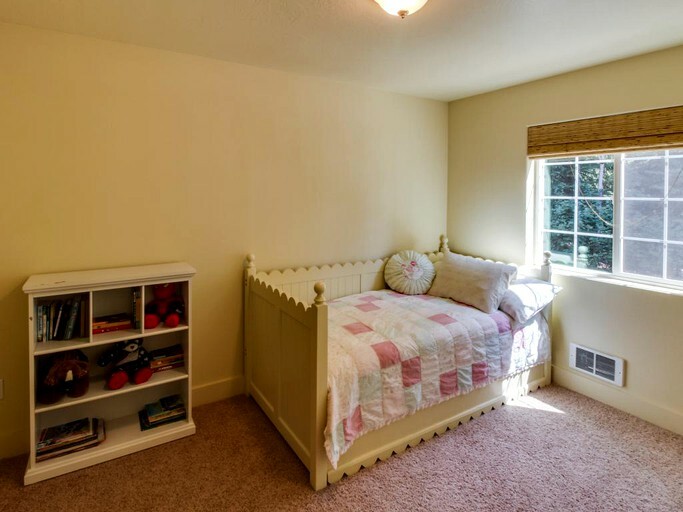 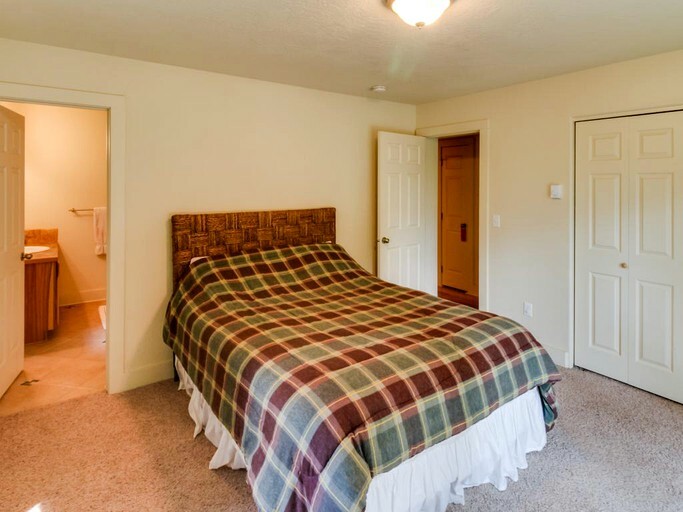 The second and third bedroom have a twin-size bed with a twin trundle underneath. 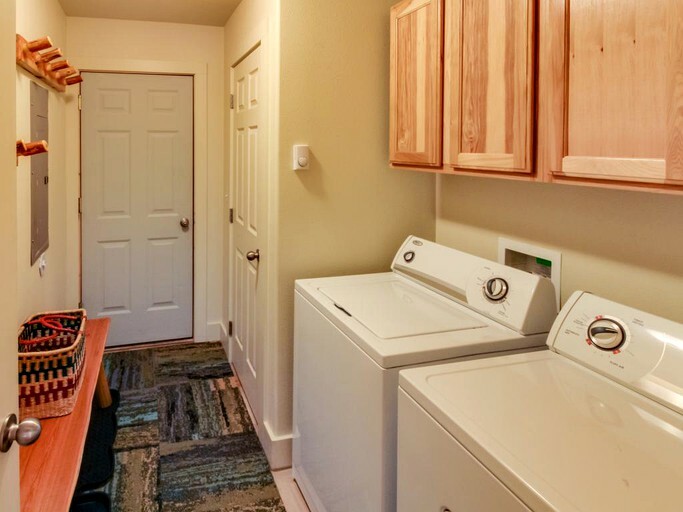 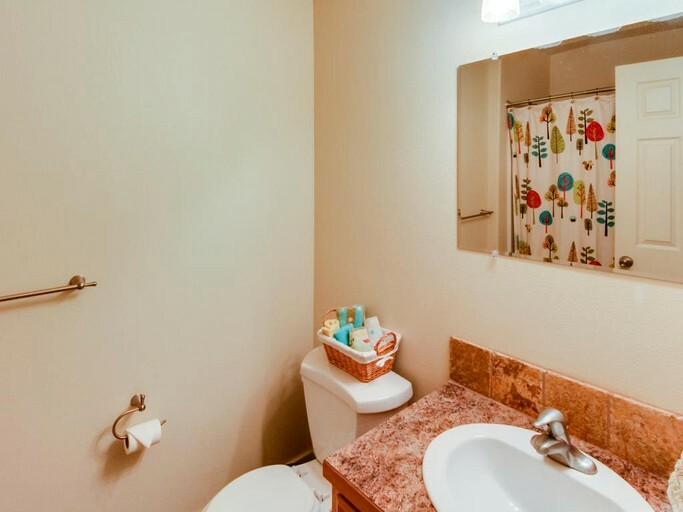 This home also has a laundry room with a private washer and dryer. 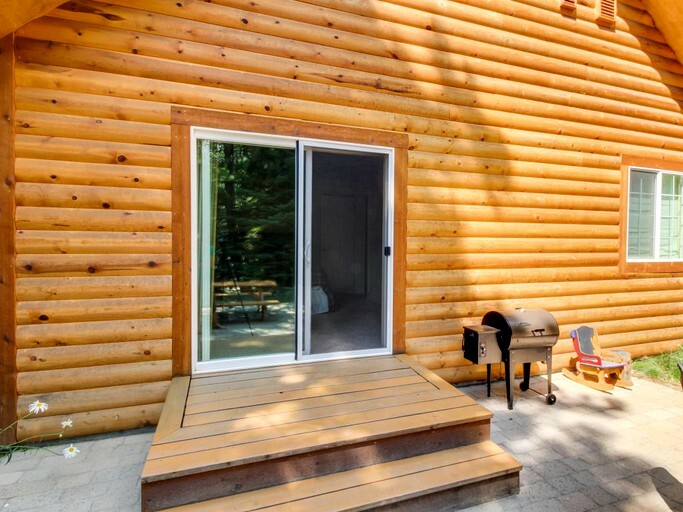 Guests will have all the comforts of home right in the middle of nature. 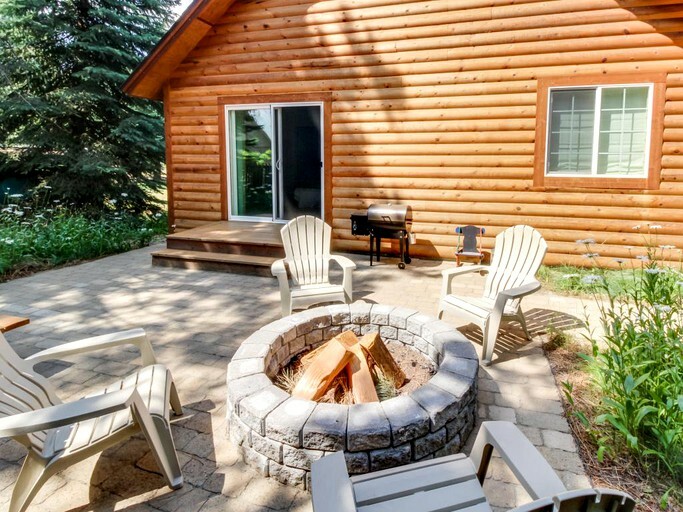 This rustic cabin features fabulous amenities, such as a hot tub, a lovely front porch, an outdoor patio with a gas grill, a firepit. 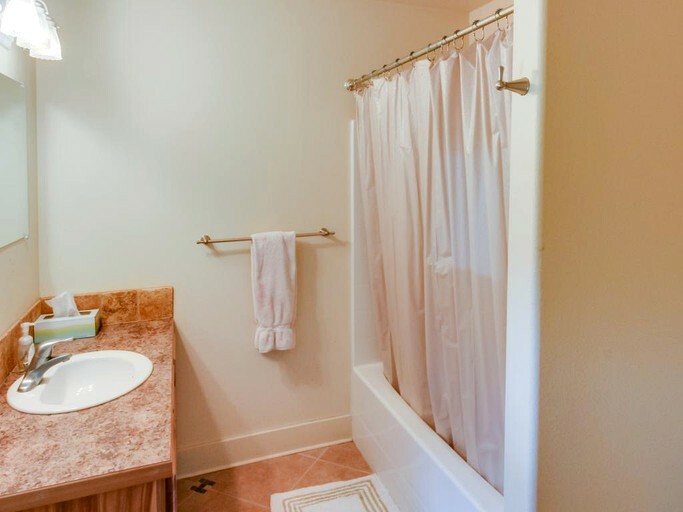 Indoors, guests will have a cozy place to relax, with comfortable furnishings, a laundry room with a washer and dryer, and a fully equipped kitchen. 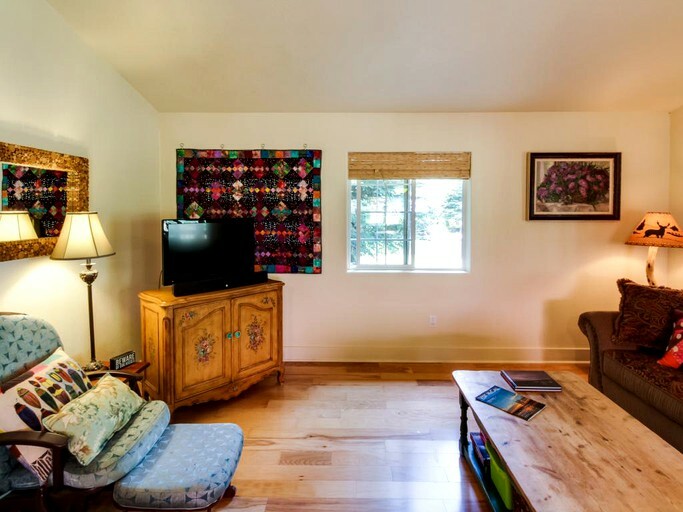 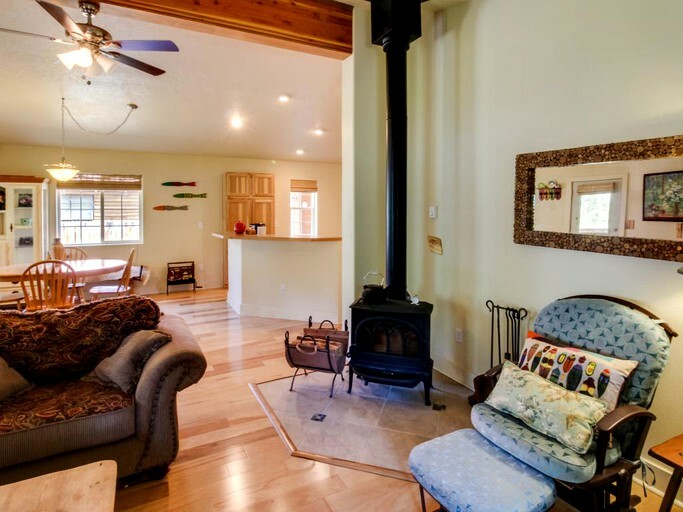 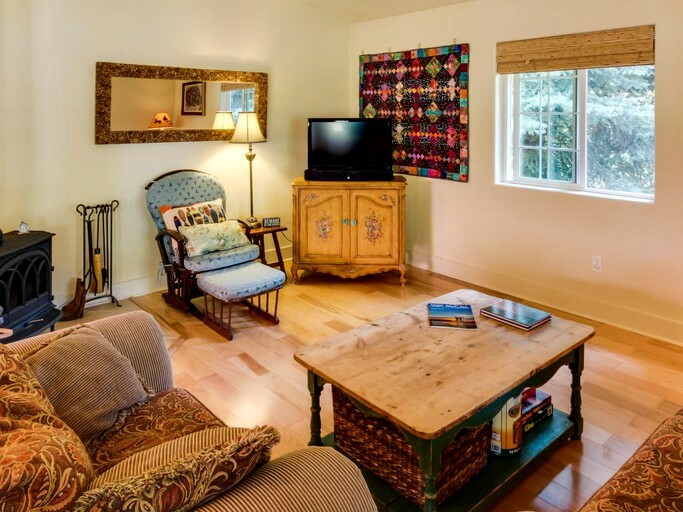 The living room features a wood stove to heat the room and a TV with a DVD player. 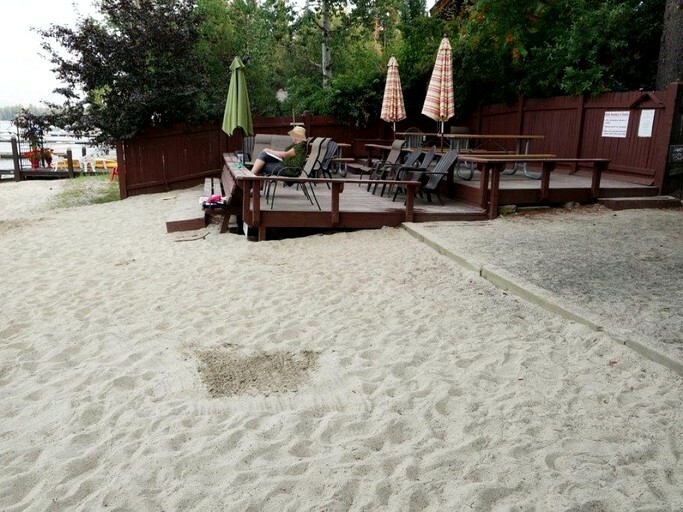 Guests will have a selection of games and DVDs to choose from. 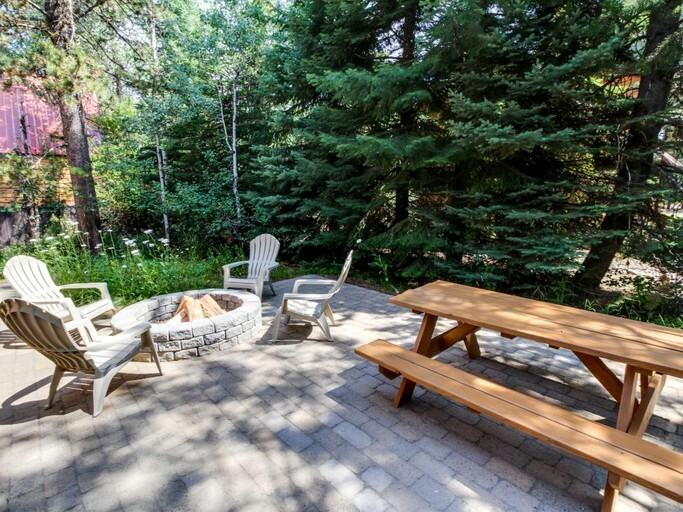 An indoor dining table seats six, but guests can head outdoors for a barbecue on the patio or soak in the hot tub to unwind at the end of the day. 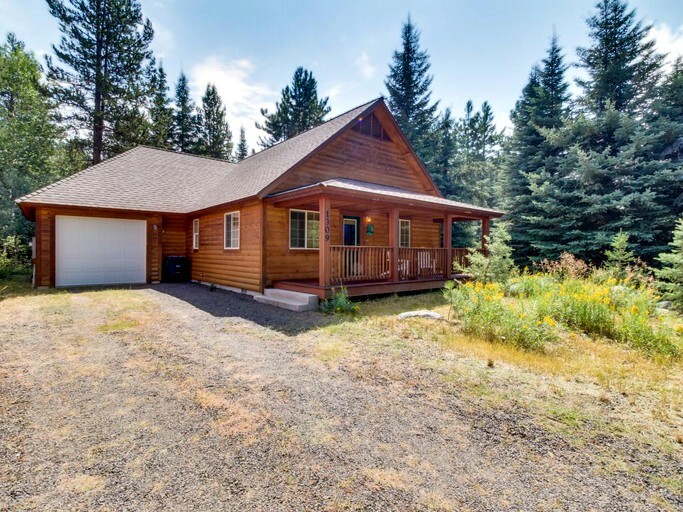 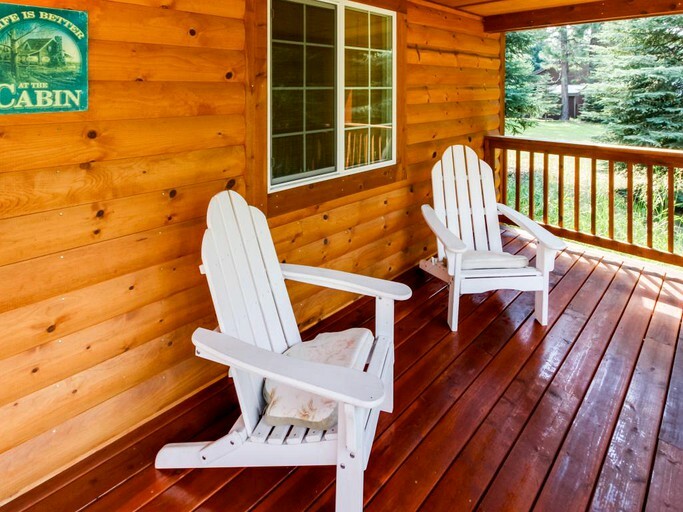 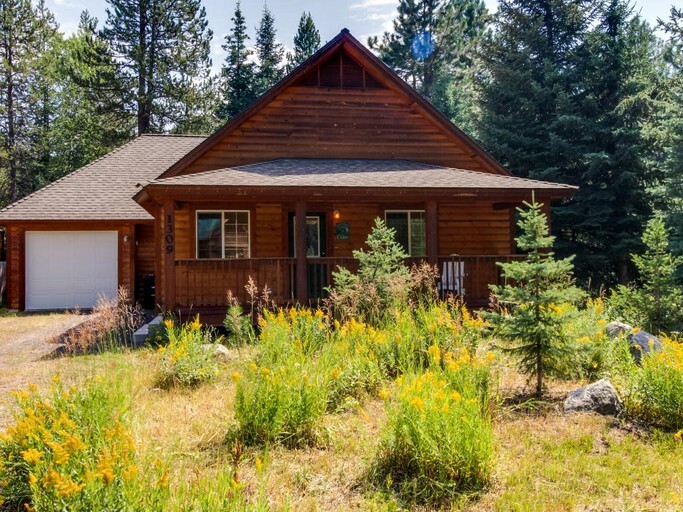 This cabin offers a serene and woodsy setting and is only a block from the shores of Payette Lake. 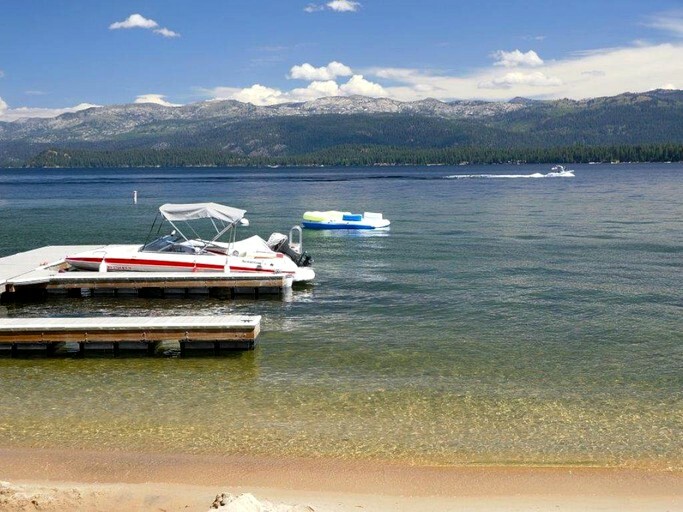 Downtown McCall, Idaho, is just two miles away, where guests can find amenities such as restaurants, shops, and a grocery store. 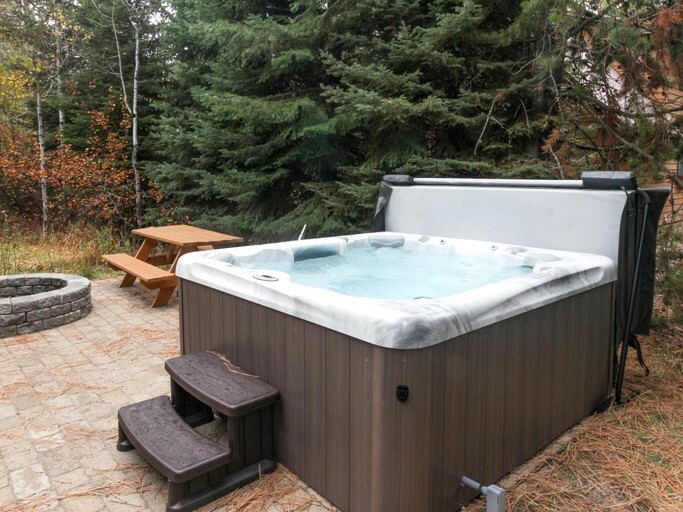 Winter skiing at Brundage Mountain is about nine miles north. 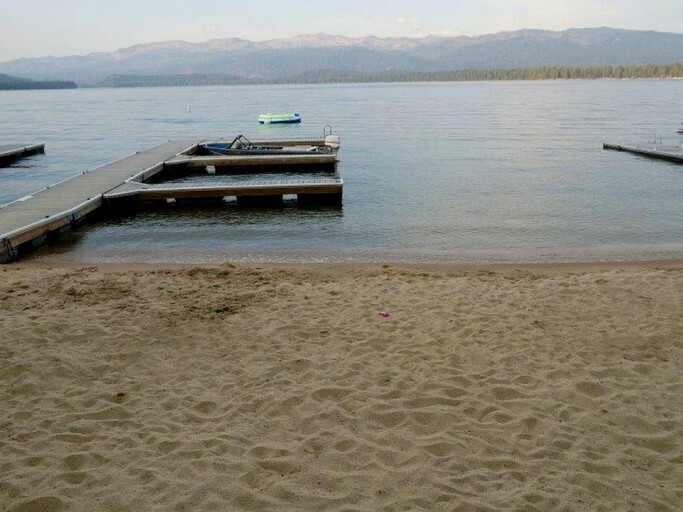 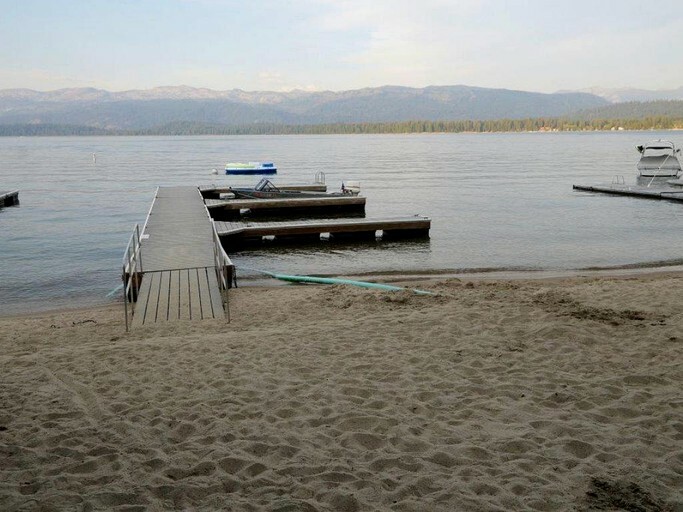 Guests will have private beach access to Payette Lake within walking distance, where they can do all kinds of water sports such as fishing, kayaking, swimming, boating, tubing, and more. 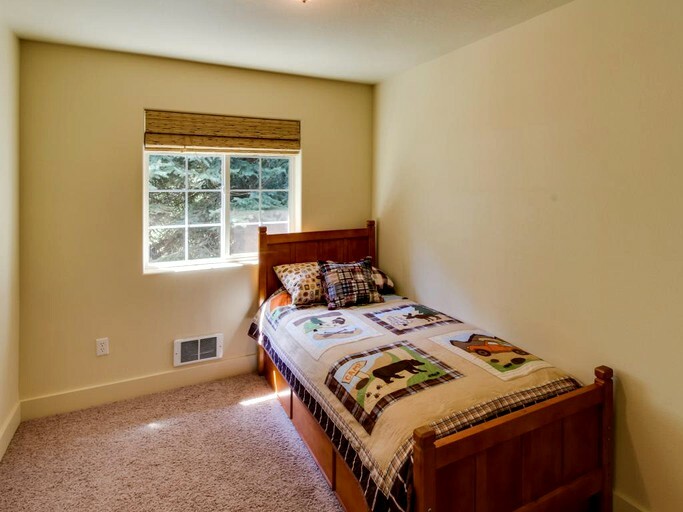 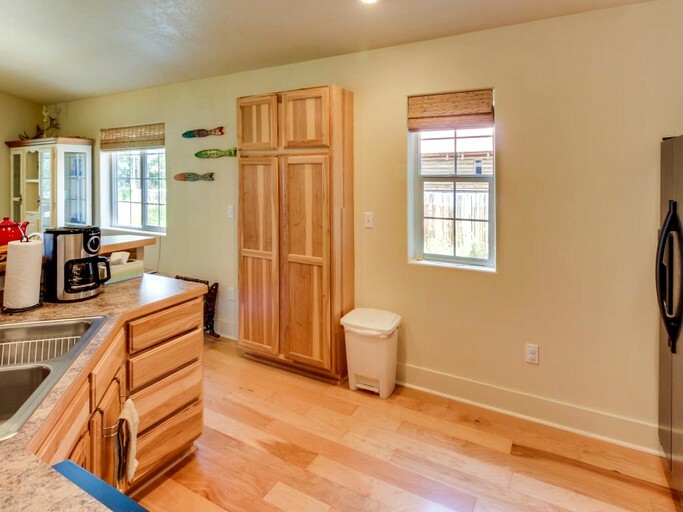 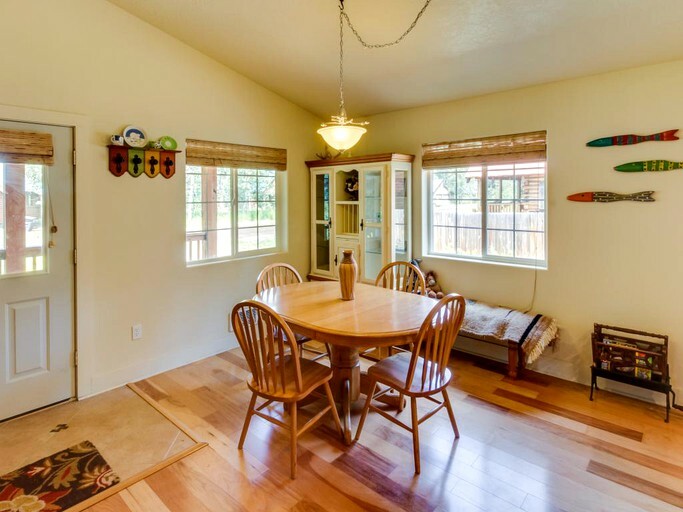 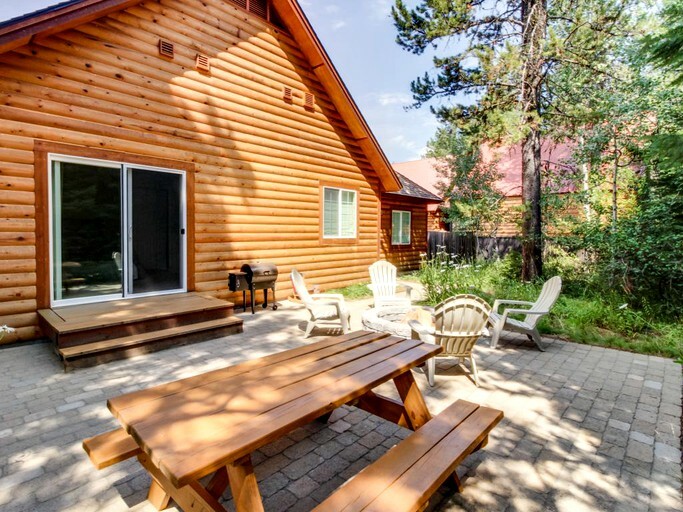 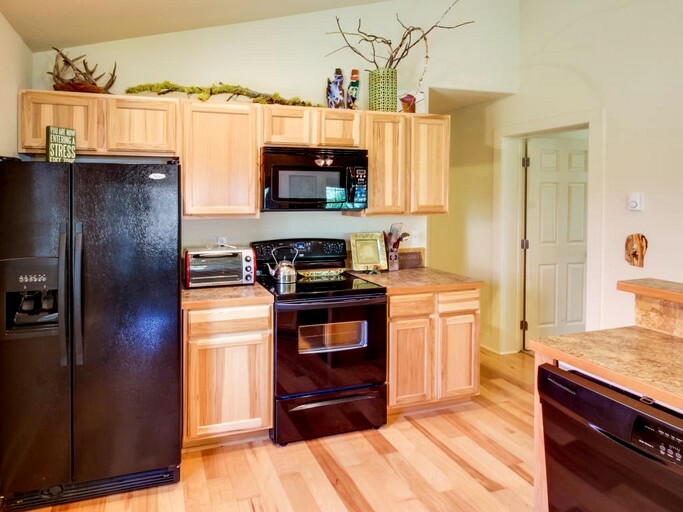 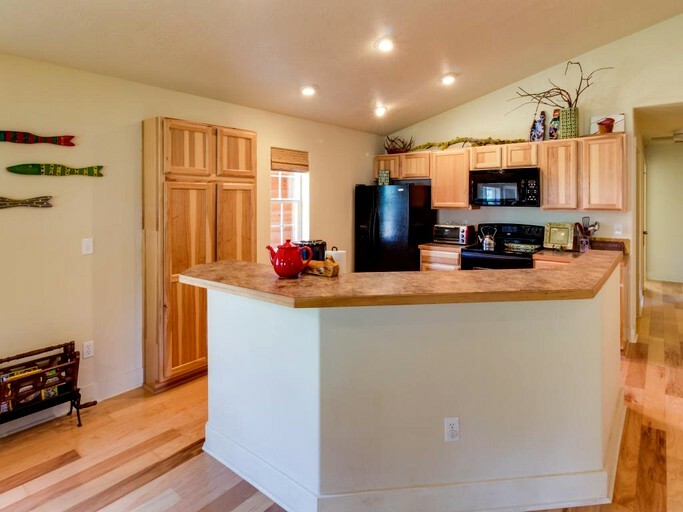 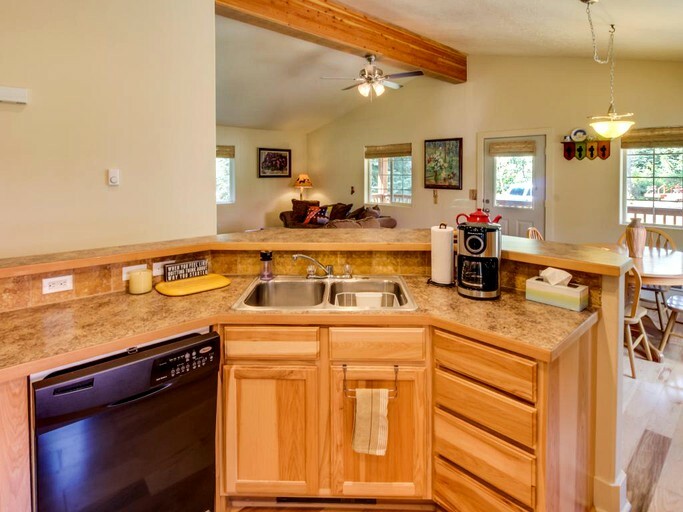 This home puts guests just a few blocks from local restaurants and only two miles from downtown McCall, where there is a wide range of amenities, shops, and restaurants to choose from. 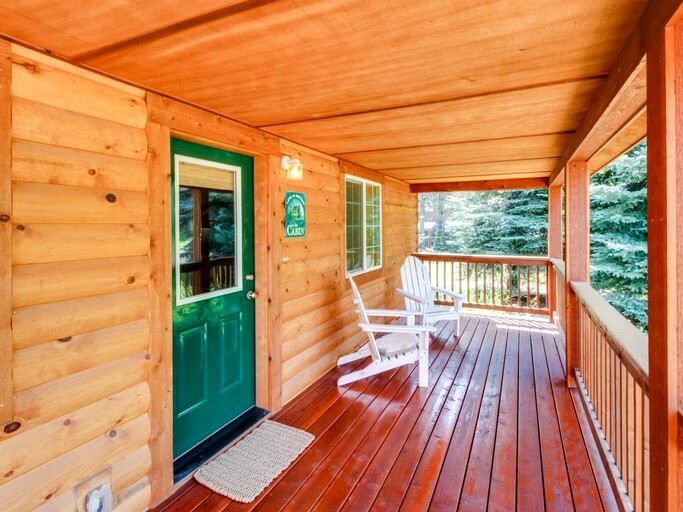 A hike through Bear Basin Trailhead is a little over two miles away. 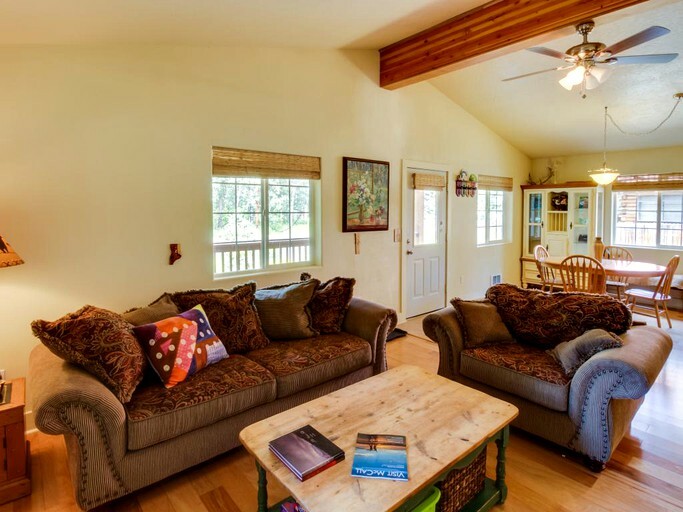 In the winter, Brundage Mountain is fabulous for skiing. 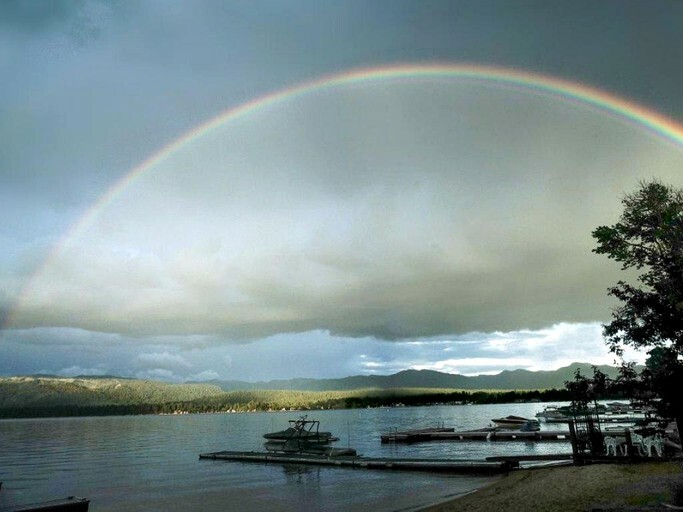 Golfers will love to practice their swing at the McCall Golf Club, which is about three miles away.